Family: It’s a thing, for most of us, most of the time. 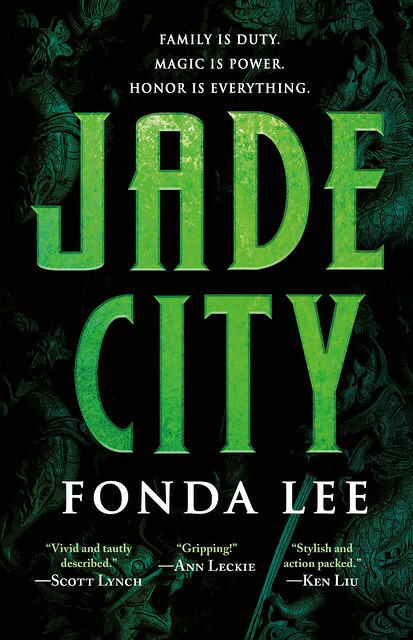 And it certainly for Fonda Lee and her newest novel, Jade City, in which family issues aren’t just fodder for holiday get-togethers, but could determine the future of a nation. I had a strong vision for Jade City from the start. I knew it would have gangsters and martial arts and magic and culture and history—but I also knew that, at its core, it would be about family. This is the story of the Kaul family. Because family—its history, pressures, obligations—is what ultimately drives these characters in their most selfless and most ruthless moments. It would seem, upon reflection, that the topic of family and how it shapes personal identity is a recurring one in my work. Jade City is my third novel. (As a former management consultant, I declare that three data points is all you need to start making sweeping generalizations.) I’m noticing unintentional patterns in my own writing, common themes and ideas. 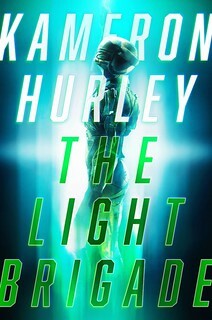 Carr Luka from Zeroboxer, Donovan Reyes from Exo, and now the Kaul siblings of Jade City are extremely different characters, but they all grapple with who they are and what is important to them once they realize that how much the course of their lives has been decided by people and factors outside of their control. They’re torn between gratitude and resentment toward their parents, they’re conflicted about how others view them, they’re weighed down by their own expectations and those of others, and above all, they try to find the strength to make their own decisions (whether those decisions are driven by duty or desire) while also making peace with the fact that much of fate is driven by circumstance. I suppose this thematic thread in my work shouldn’t be surprising. I’m a second generation Asian-American, the child of a broken marriage, a corporate strategist who left to become a science fiction and fantasy writer, a woman and a mother who’s been the lone female minority in the finance meeting and in the MMA viewing party and on the science fiction panel. 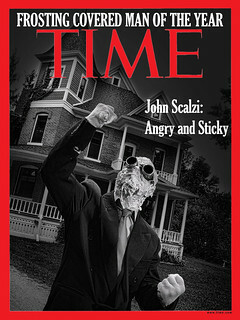 I know a bit about conflicted identities and the struggle to carve out who you are against outside pressures. In Jade City, that struggle becomes a tragic commonality between all the main point-of-view characters—four siblings who are expected to lead the clan their grandfather built but find themselves fighting for survival in a bloody clan war that will determine the fate of their country. There is something undeniably compelling about family dynamics in a culture where violence is the legitimate and often preferred way to solve problems (as it is among the jade-wielding Green Bone warriors of the fictional island of Kekon). Within the popular genre of mafia stories, The Godfather and The Sopranos stand out as being especially popular and beloved. We forgive, indeed cheer, Michael Corleone and Tony Soprano’s violent acts because they’re family men; they act not out of greed but out of love, duty, and vengeance for their respective clans. For similar reasons, stories of family feuds have a powerful hold on our imagination. The Montagues versus the Capulets. The Hatfields versus the McCoys. I think it’s because we all recognize that sometimes family can be so infuriating you really do feel like killing someone. At the end of the day, though, you’d do anything for them. You would go to war. Upon reading a draft of Jade City, one of my beta readers astutely pointed out that each of the Kaul siblings struggles with their place in the family. At times they’re close to each other, and at other times, worlds apart. They’re each forced, in ways that seem subtly inevitable, into doing things or taking on roles they didn’t want to. They do it anyway, and they own their choices, even the ones where its seems, given the circumstances, there was no choice at all. Because that’s the Big Idea in Jade City: family and personal identity can’t be disentangled. As the Green Bones say: the clan is my blood. I just got this last Tuesday; it looks fascinating.